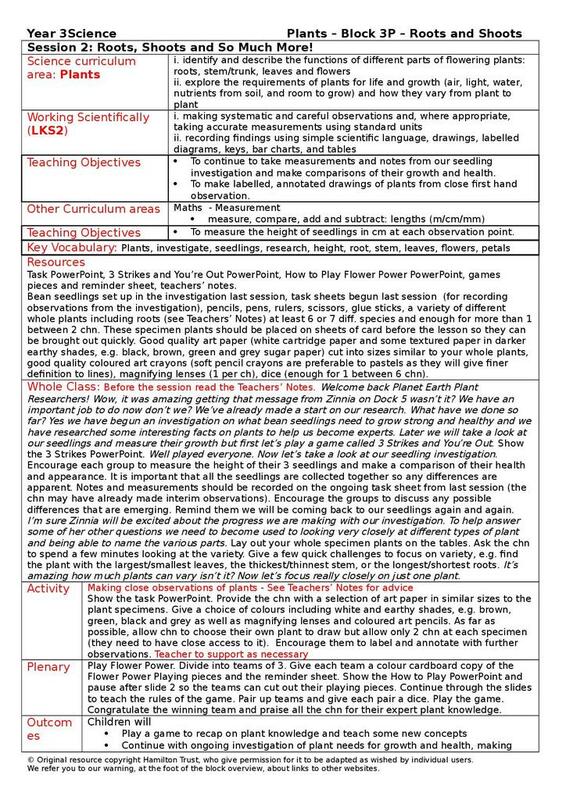 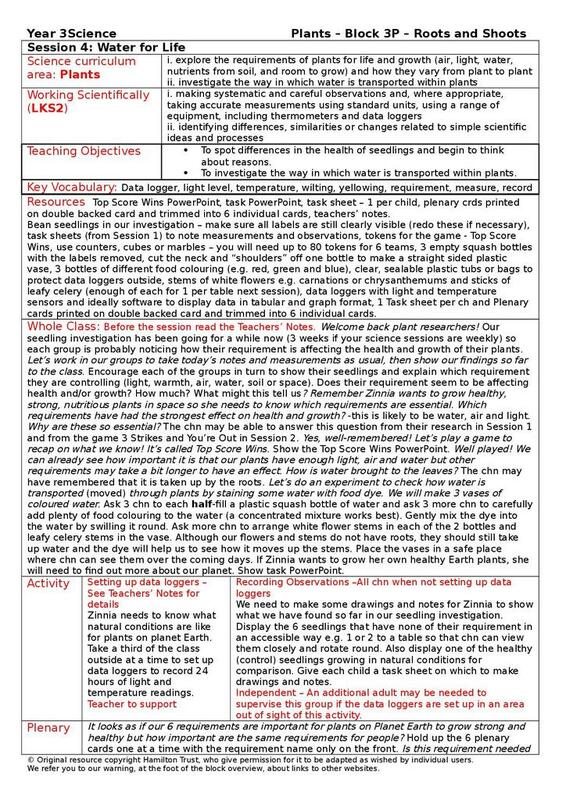 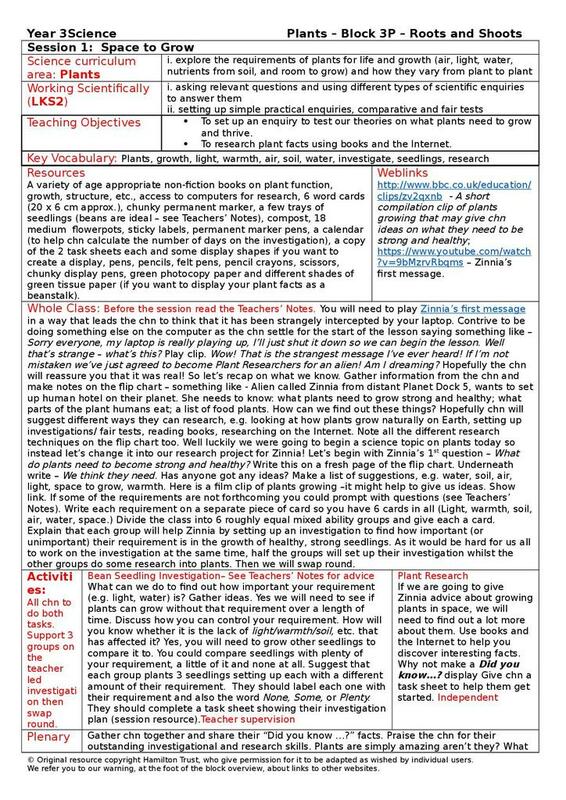 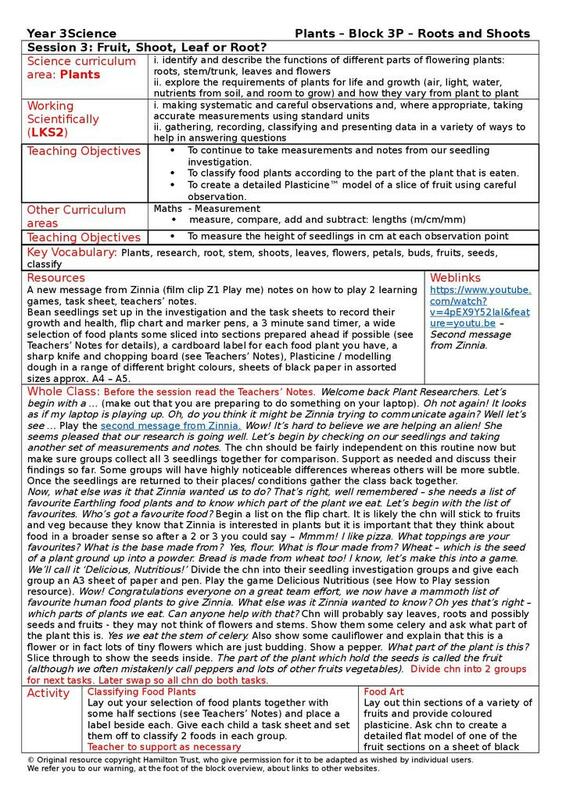 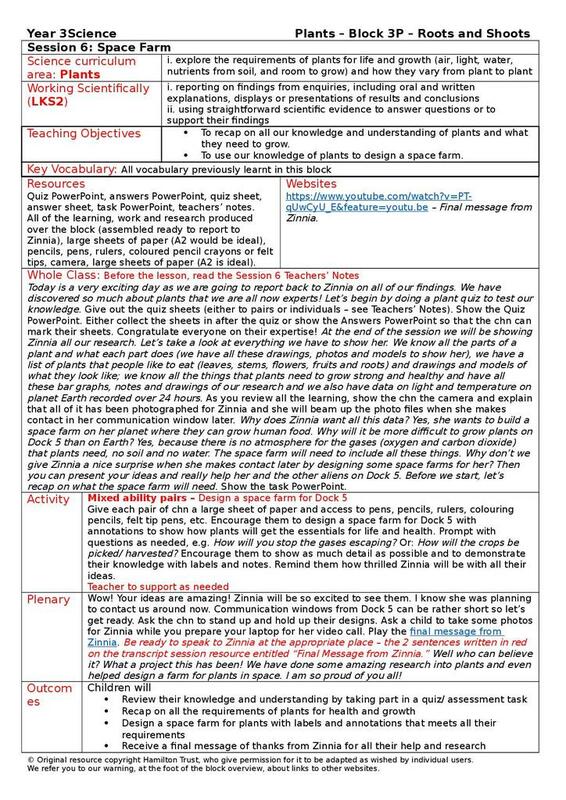 This resource provides a selection of lesson plans, worksheets and teachers notes relating to plants at Year Three. 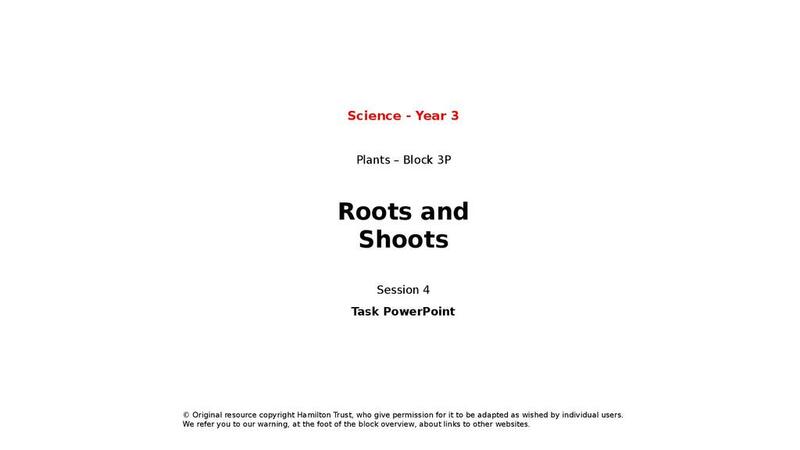 They include activities in which children find out about the parts of flowering plants and their functions, and investigate the conditions affecting plant growth and how water is transported in plants. Ideas are also provided for learning about the stages of plant life cycles, in particular seed formation, dispersal and germination. 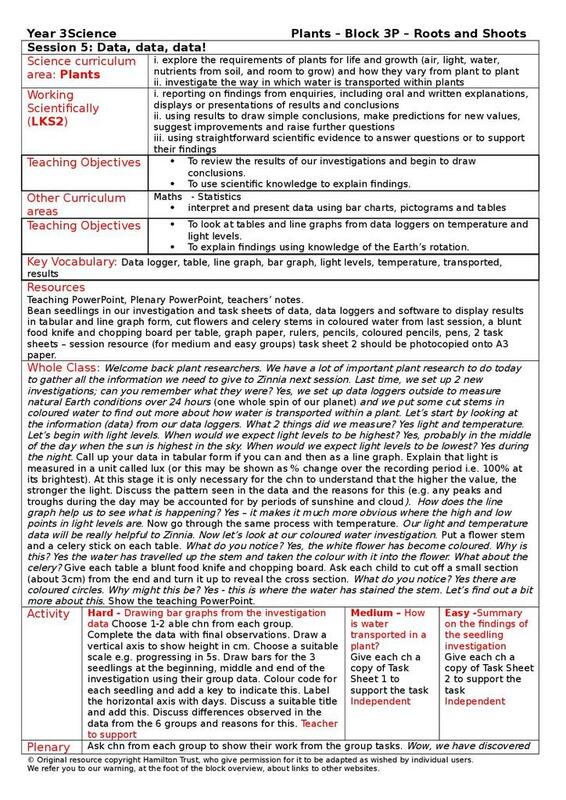 Provided by Hamilton Trust, these sessions have been written in line with the new national curriculum (published in 2013). 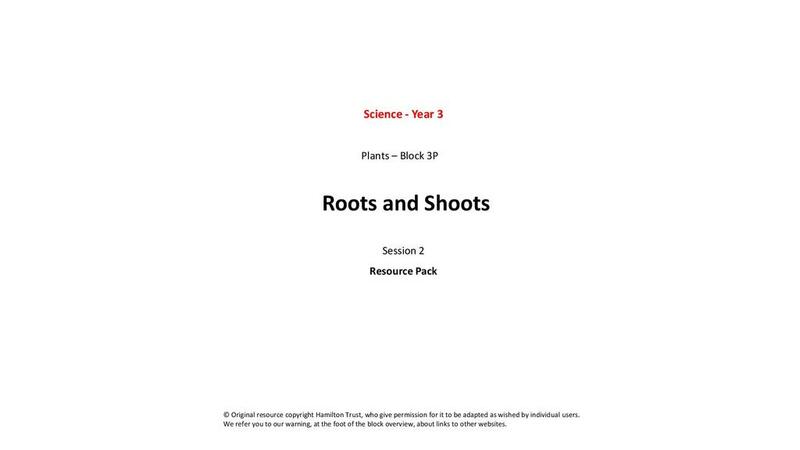 Great resources. 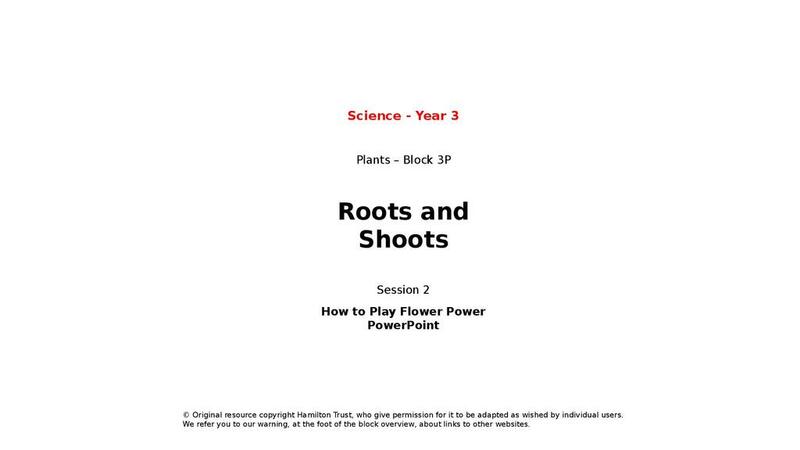 Beware of the ppt that is linked for photosynthesis. It says that plants and animals use oxygen to change food to energy.